John Danyel's song cycle links together several poems with music for the first time. What we enjoy in Romantic music listening to Schubert - here it all starts. Tim Severloh, Countertenor, was born in Hamburg where he first studied musicology. His main interest was ornamentation, historical vocal methods and the singing technique of castratos. He took voice lessons with Peter Laurenz Anders and Marianne Fischer-Kupfer. Then he studied voice at the Hochschule der Künste HdK Berlin with Harald Stamm and Ingrid Figur. Also he attended Master Classes with Paul Esswood, Richard Wistreich and René Jacobs. During his studies at HdK Tim Severloh visited the classes of Nigel North, Elisabeth Kenny and Irmgard Huntgeburth as a guest. From 2009 to 2013 Tim Severloh worked as a lecturer for Early Music at the Universität der Künste UdK Berlin. Even before beginning his formal training Tim Severloh had his operatic debut at the Staatstheater Braunschweig with Orest in „Die schöne Helena“ (Offenbach). Tim Severloh sang in the years to come at many important houses: Staatsoper Berlin, Staatsoper Hamburg, Oper Frankfurt a.M., Oper Basel and many others. Stage directors he worked with are Georges Delnon, Peter Mussbach, Christine Mielitz, Marco Marelli and Stefan Herheim. His engagements got him to work with conductors like Christoph Eschenbach, Michael Boder, Eric Nielsen and Vladimir Fedoseyev. Knut Trautvetter, Lute, was born in Berlin and studied guitar with Peter Schimanski and Laurie Rudolph at the Universität der Künste in Berlin. After he finished his degree he continued his studies in the Early Music department at UdK with a special program for historical plucked instruments with Nigel North. He also attended Master Classes with Stephen Stubbs and Elisabeth Kenny to deepen his understanding for historical performance practice. 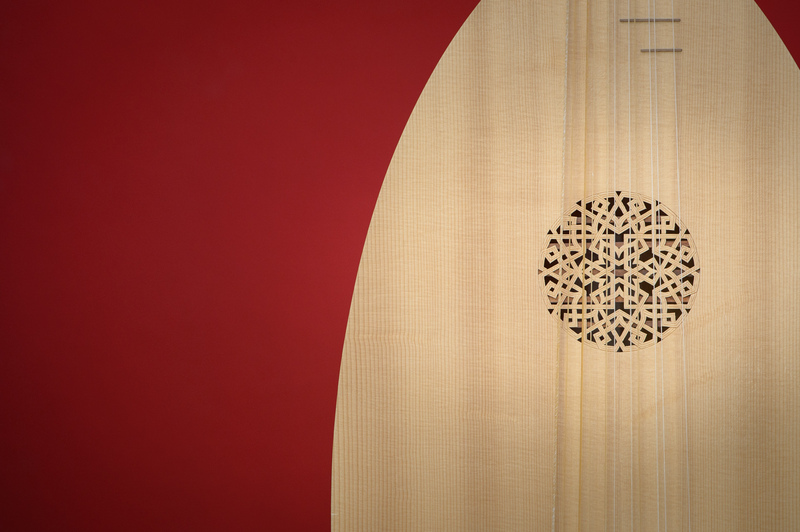 His instruments, lute, chitarrone, early guitar and the modern guitar open all periods and styles to him. Besides his work as a soloist he likes to work with singers. With Kammersänger Thomas Müller he performed his own transcription of Schubert's “Die schöne Müllerin” for two guitars. Michael Dollendorf, Viola da Gamba, received his musical training at the University of Michigan, Ann Arbor. His principal teacher on the viola da gamba was Gail Ann Schroeder in Amsterdam. He has since performed with many well-known ensembles: Les Arts Florissants in Paris, the Smithsonian Chamber Players in Washington, D. C., and with the Philharmonia Baroque Orchestra in San Francisco. At the Schauspielhaus Bochum and the Oper Frankfurt am Main he worked as a dramaturg and develops projects, that often are merging elements from concert, theatre, dance and film. He does programs as singer and storyteller with Medieval literature and works regularly as continuo player and accompanist for other singers. Playing many instruments he is much though after to provide color in many early opera performances. There he plays early harps, viola da gamba, lirone and woodwind and brass instruments. Lately he has held teaching assignments at the Universität der Künste in Berlin.